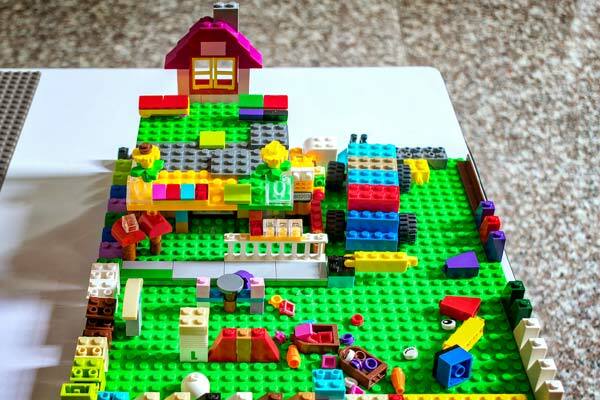 Lego has launched its Global City of Tomorrow campaign throughout the Mena region asking young aspiring builders to put their imagination to the test by building a better city of the future using Lego City Bricks. The fun-filled family experience will run from March 16 to 24 at LegoLand Dubai, the only theme park in the region for families with children aged 2-12, and will continue at DFC Mall from March 26 till April 2 moving to Kuwait and other parts of the region through to July 2018. Children will have the unique opportunity to unleash their imaginations, to explore, discover, create and build their version of the City of Tomorrow. "I am so fascinated to see what children will imagine and produce. Children have unlimited bounds of imagination and creativity, there is no better way to step into the future then to get the youth of today involved in creating truly meaningful and expressive concepts that will have a direct effect on their lives," said Urszula Bieganska, senior marketing manager MEA, Lego Group. To encourage children to add their ideas to the City of Tomorrow there will be a central display area that will highlight the city of today, featuring relevant buildings, transport and wildlife. The models created by the participating children will then be placed in a display area leading them from now to the future, much like a visual timeline allowing their imagination to determine how far into the future they envision their creation. Children will need to take into consideration the use of space, nature, transportation and power. There will be four main inspirational building zones to provide them with the motivation they need to jump-start their imaginations. Every child will be stimulated into thinking about the larger issues we are facing and will be given the freedom to create a happier, stronger and better future in which they see themselves living. For a chance to take part in "Finding the local Lego builders of tomorrow" Competition, a photo/video area will be set up at each event location throughout the Mena region from March - July 2018.